Welcome to Week #34 of Taphophile Tragics on this blog! I welcome your thoughts and comments, and your photos and posts — thank you for stopping by! Today, my photo comes from Iowa — where this simple stone has a nice coating of yellow lichen. The 1900 census shows Rudolph as being born in June of 1826 in Switzerland, and living currently (in 1900) in LeClaire, Iowa. 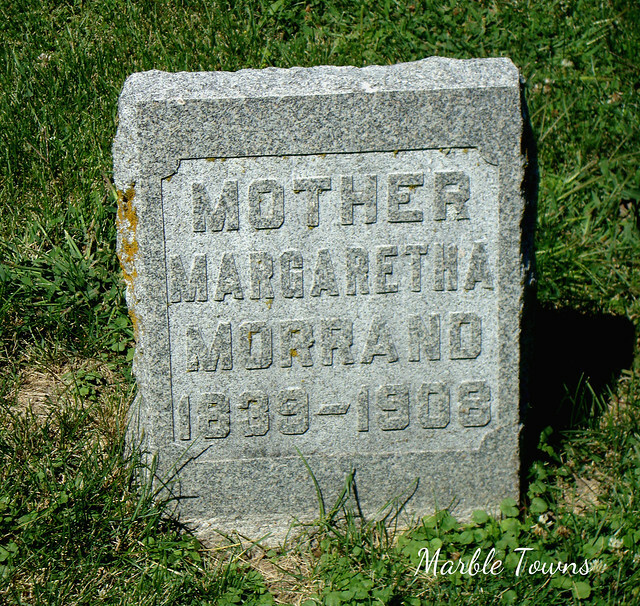 Married to Margretta Morand in 1880, and with a son, Rudolph (age 23). 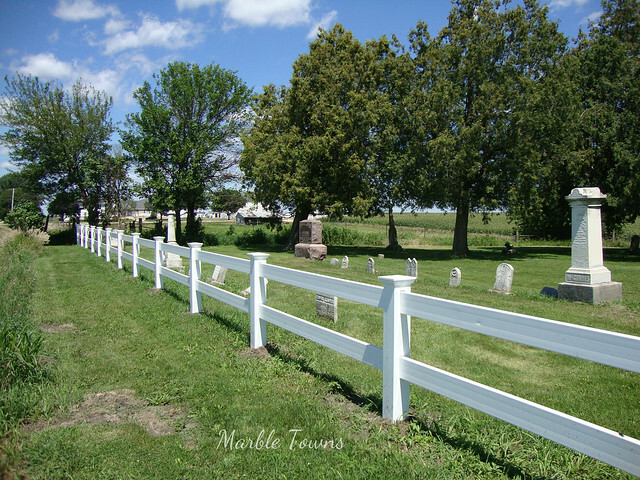 I found information on his military service in the roster and record of Iowa Soldiers in the “War of Rebellion.” The “War of Rebellion” is what is commonly called the United States Civil War, although in some states, it’s called the War of Rebellion, or The Great Rebellion. 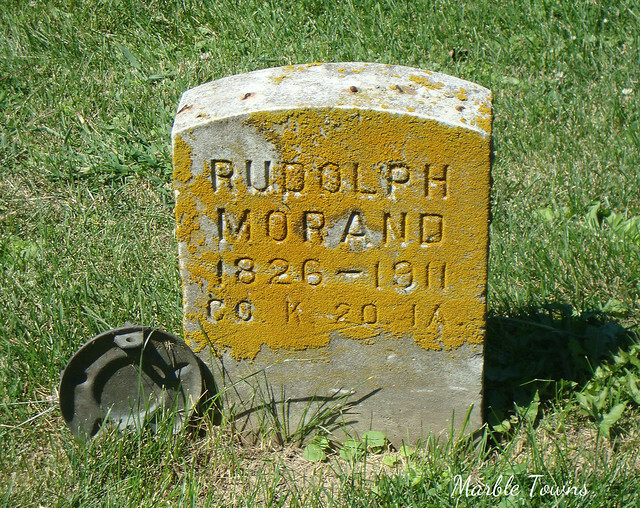 The record shows that he was promoted to Full 6th Corporal on November 23, 1862, and had enlisted in Company K, Iowa 20th Infantry Regiment back on August 23, 1862. 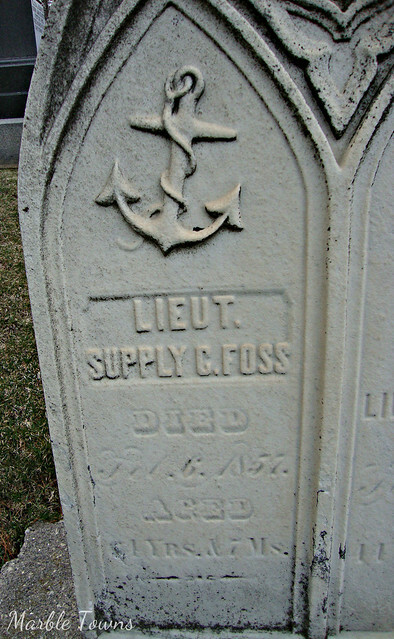 He was promoted to Full 3rd Corporal on December 11, 1862 and promoted again to Full 2nd Corporal on April 15, 1863. 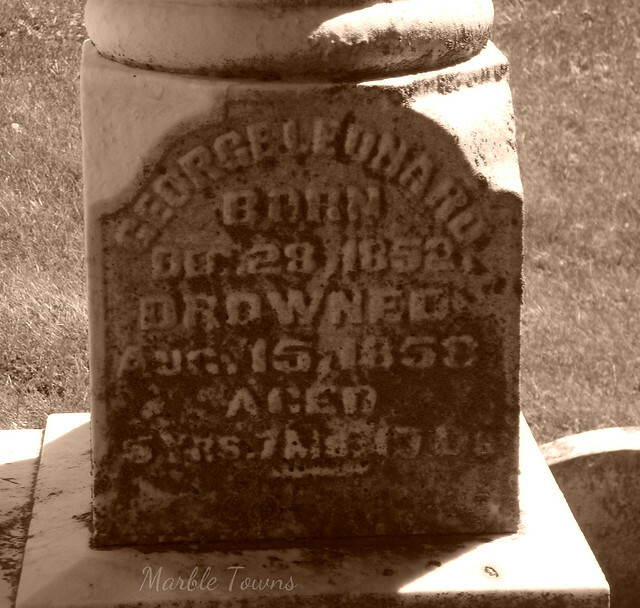 He mustered out on January 6, 1864 — and obviously, from his date of death in 1911, survived the war (although I did not find any information on his cause of death). 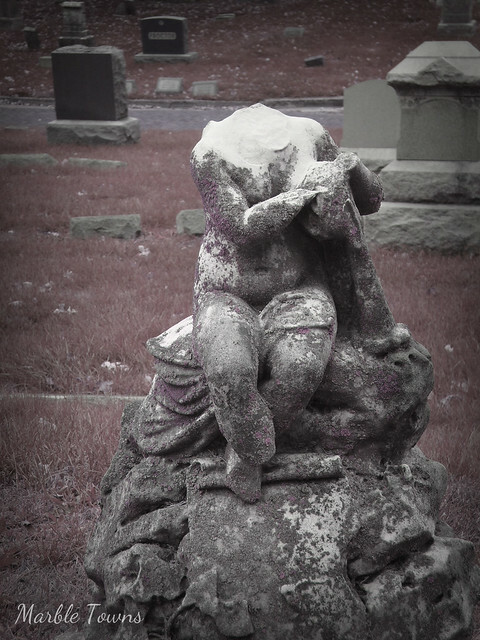 Taphophile Tragics # 17 —- Samuel Peaslee, Jr. Welcome to week #17 of Taphophile Tragics on this blog. I am looking for feedback, please, so if you are leaving a link, please leave me a comment — in particular, I am curious to know if Taphophile Tragics should continue on a weekly basis, or move to an every-other-week meme. So please let me know what you think. Thanks! 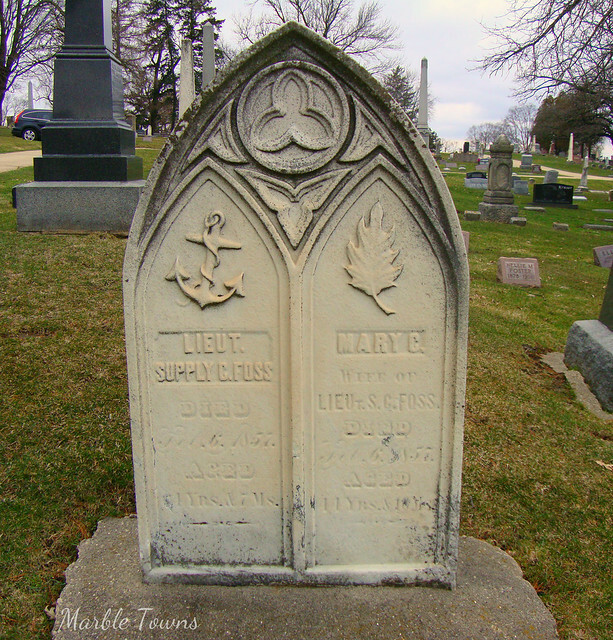 Mr. Peaslee is buried in Linwood Cemetery in Dubuque, Iowa. 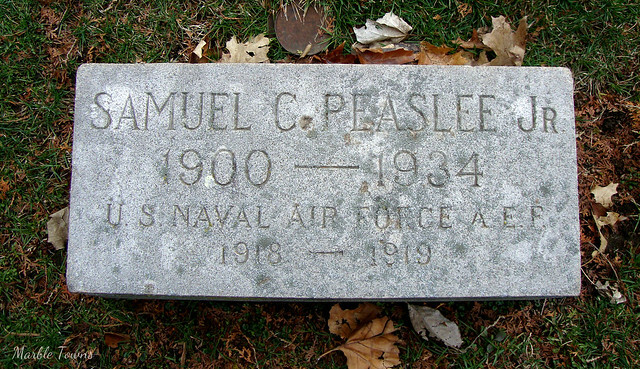 The first time I find him on a census, it’s 1920, and he shows on the record with his parents, Samuel C. Peaslee, and Angie Peaslee. His father shows as being a bank president, and Samuel, Jr. has an occupation listed of being an order clerk in a factory. This is, of course, after he has served a year in the U.S. Naval Air Force Air Expeditionary Forces, sent to Europe in World War I. Considering the high casualty rate for the AEF (and, in general, for the war), I wonder if he was in for only a year due to injury and was then sent home. 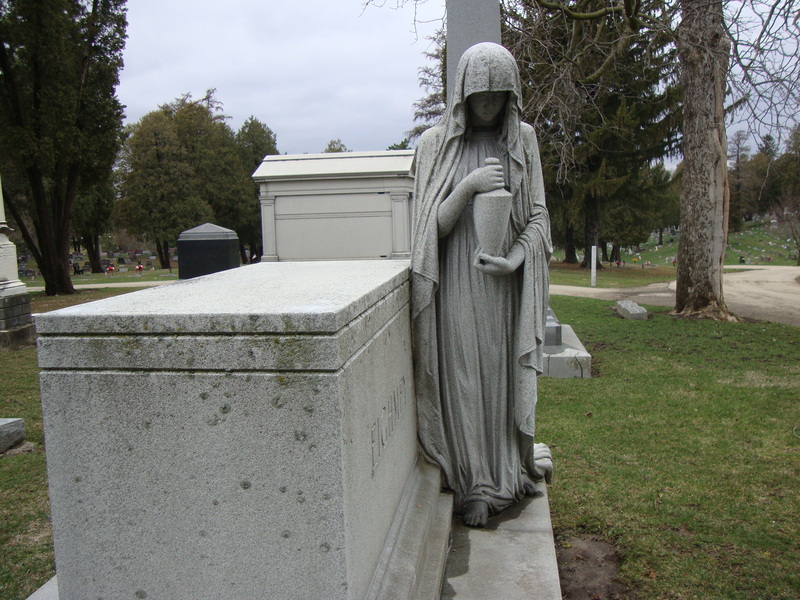 Wilhelmine is buried in the Linwood Cemetery in Dubuque, Iowa. 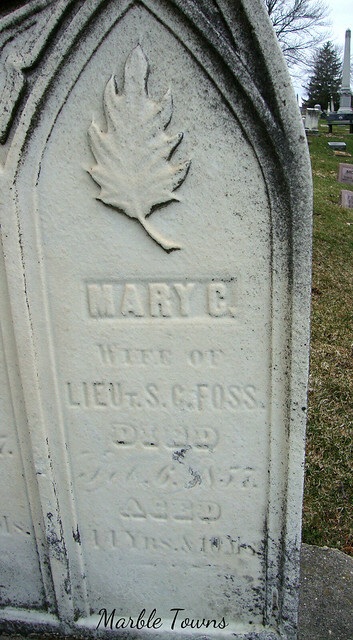 Her stone caught my eye not only because of her name, but because it shows she was a nurse in the Spanish-American War. Looking her up in Ancestry.com shows her on the 1900 census, living with her mother, Lusina Giessemann. The 1910 US Census has her as living with her in-laws (she is listed as sister-in-law to the head of household), whose last name appears to be Taylor. 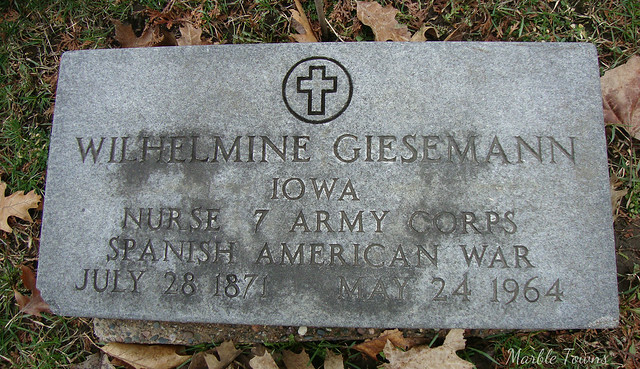 The 1925 census shows her name spelled as Wilhelimin Giesemann, and has her living with her aunt. By the time of the 1930 census, she’s showing as a lodger, with no family members. The nice thing is, there is a family tree for her on Ancestry.com. 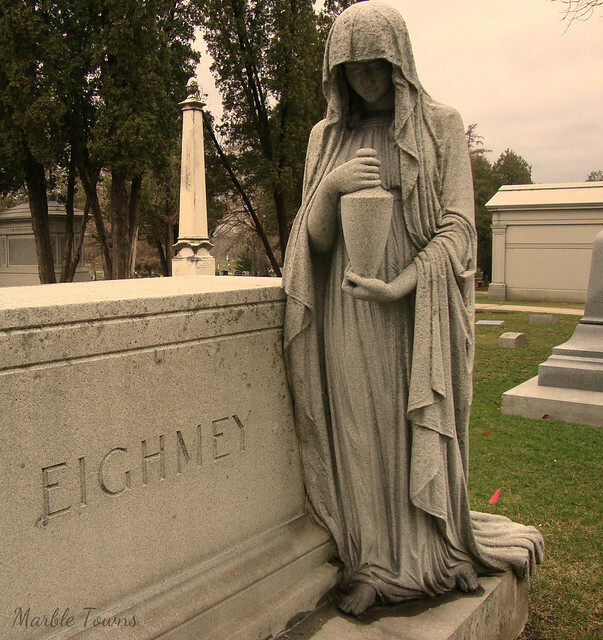 This shows that in 1900, she was working as a nurse in Dubuque City, Iowa. While there is a passenger list from Havana, Cuba to New York, NY in 1905, there doesn’t seem to be any information about why (or when) she joined the Army Corps as a nurse for the Spanish-American War, which was in 1898. I’m assuming that the passenger list showing her going from Cuba to New York was something tied into the war, since the war had to do with the United States’ intervention into the Cuban War of Independence. I did find some interesting information about the nurses of the Spanish American War. This page has some great photos, although none of them have names listed. This page is absolutely fascinating, and gives a lot of information and insight into nurses in this war. This is where my search ended (at least, for the day I was looking). I’m not sure why she went into service, how long she served, and what led to her death in 1964.